How do you go about persuading people to move in a direction you think is the right one? Persuasion is not just technique. It is an art as well and those who master these two are bound to succeed. 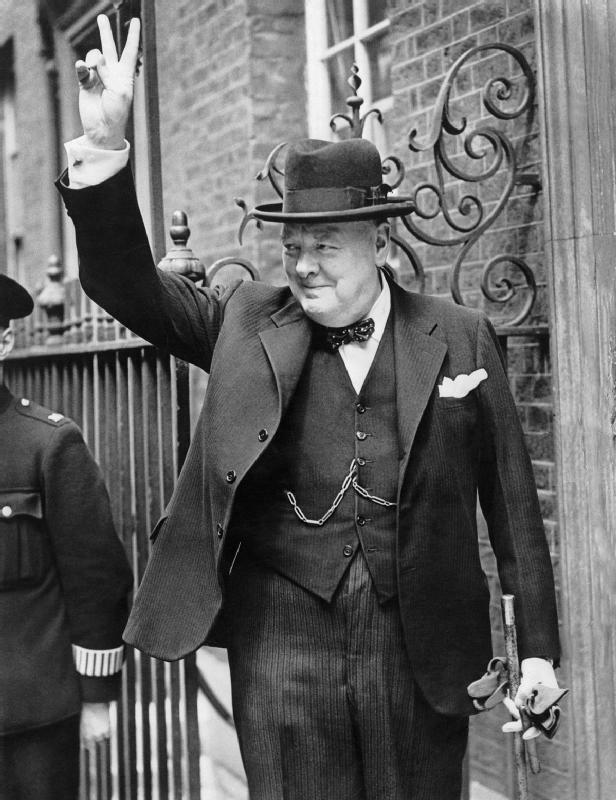 Churchill with his V Sign. Source: Wikimedia. Public Domain. The art of persuasion is often thought of as the gentle nudging of others along the path of agreement. Often, with you! True. Organizations today have become more flat and authority is often not associated with position. Tasks are given to teams of experts, each with its own niche. Things need to be negotiated, step by step sometimes, until it becomes a shared solution, a shared responsibility, a shared goal or a team decision. And it can't be the lowest point of agreement. This is going downhill and no organization wants this. At every point, you often need to persuade people if you champion an idea or a solution. You need to convince them that none of us is as smart as all of us! You need to get their input to improve the idea. You need them to buy in. How do you this? Hmmmmmmm! Maybe, you need a technique. Churchill Addresses Joint Session of Congress 1943. Source; Wikimedia Commons. Public Domain. While persuasion is indeed an art, you do need techniques to do it more effectively. Not all of us are born with that innate quality of charisma that melts people to just say yes to whatever we want them to do or wherever we lead them. So, here are some we need to enhance in our own selves. Start with your own self and your world of experience. You can only be strongly persuasive when you believe in the ideas you are promoting. You can win people when you yourself is convinced. Your passion for what you promote draws people. When your world is very narrow, chances are you are only passionate about very few things. But as you expand your world, other things engage you and you enlarge the areas you become passionate about. Nothing like experience to convince you or other people about the merits of things you persuade them to support. Make your corporation a learning organization. You are not the CEO so you can't do this? Wrong. You have all the opportunities to do this. Start small in your own team. Good practice in honing your skills for the big catch. Engage colleagues immediately and build up their ideas. Chances are they will support the direction you are leading into. Get allies by sharing information you have read on ideas you want to incorporate in your office. Talk about these ideas during your breaks. I used to spot who would be the most difficult in accepting my proposals and way before my presentations, engage them in a conversation. I, then, bring up their concerns, crediting them when there is acceptance. This way, they become my allies in thinking out what's best. Time and manage this so you don't become a pest or the office doofus who only want to talk about one thing. Sense when people are listening and want some discussions on the topic. Do not drum it on them when all they want are jokes to break away from the demands of the morning. 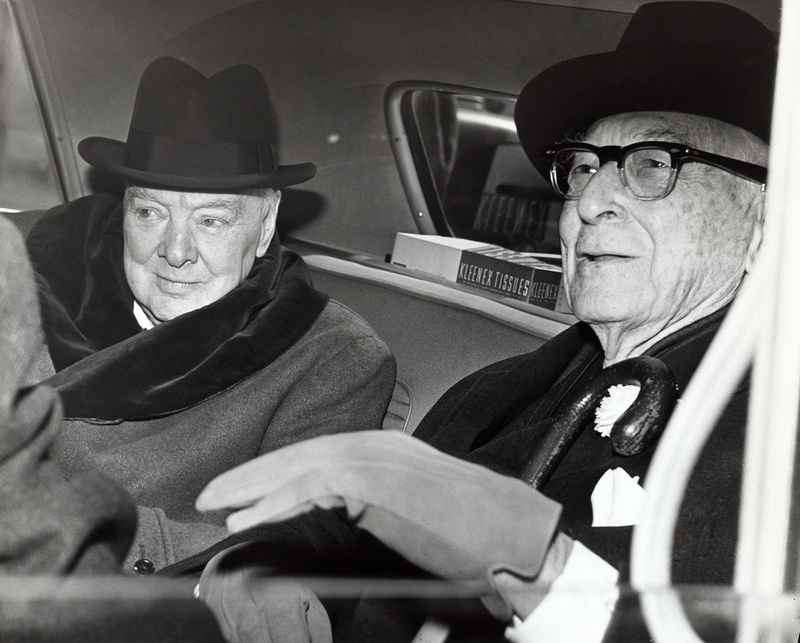 Churchill Talking to Baruch in the Car. Source: Wikimedia Commons. Public Domain. When you have to persuade people at work, identify the key players. Meet one-on-one with them and listen to their perspective as well as to the issues that matter most to them. This will give you a better context for the persuasive direction you will take. Also, by listening to what people say, you communicate to them how much you value their participation and input. When you do this, they will surely listen to you as well. But here's the clincher. When they feel that you care about their interests and if they are convinced of this, they will be there for you. 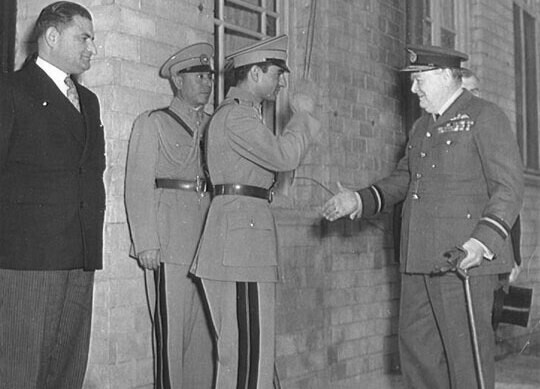 Shah of iran and Churchill. Source: Wikimedia commons. Public Domain. You will have supporters. When you have strong relationships with people, they tend to trust you. When you have a track record in the relationship of being fair and trustworthy, they will tend to consider your proposal and support these even when they have doubts about some issues. The key is they trust you. If they don't, no matter how good the idea you are presenting, they will suspect it. Be the top in your organization. Yes, become the go to person when people want to consult in your area. Better still, the best in the industry, the go-to guy in your business. Dig in, read and learn everything you possibly can. If people sense you don't know what you are talking about, you are as persuasive as a noodle. 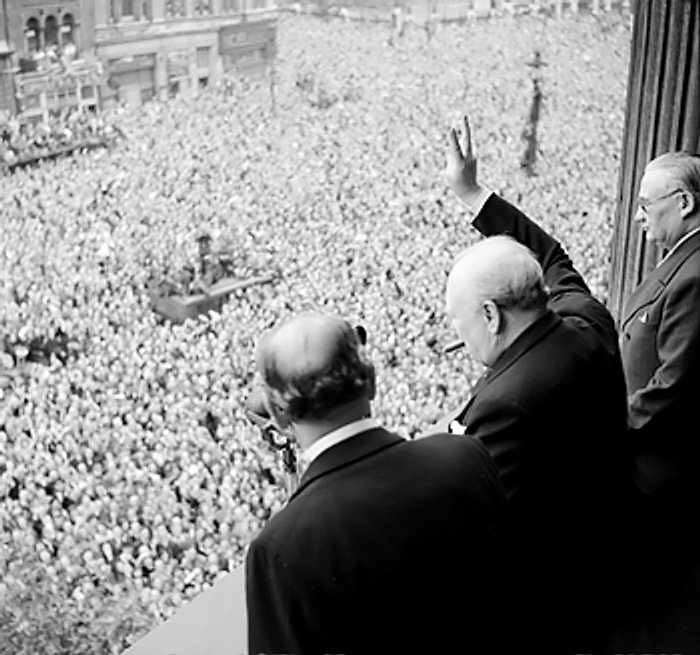 Churchill Addressing the Crowd. Source: Wikimedia commons. Public Domain. Have a voice that works. If your aim is to persuade, make sure you learn how to present your ideas well. Make sure you have the voice to go with it. In your presentation, the key is to identify the benefits people listening to you will get out of your proposal. Don't speak first. Listen. ​Add your listener's ideas into your direction. Open with agreements already expressed by your colleagues so you engage them immediatley. Open with, "Hey; there may be some agreement here on a direction that works. Lucy said... and Bill added... And what about what Pat said?" Engage colleagues immediately and build up their ideas. Chances are they will support the direction you are leading into. Your voice can kill your ideas. Ask friends to comment on your speaking. Is it too loud? Are you a whisperer? Do you have the CNBC nasal scratch? Or are you fond of multiple "ya knows" or "ahhhhhhs." You really can change the way you speak. Practice in the mirror. Record yourself and listen to this. Do you like listening to that person? You may need a real overhaul in this area without even knowing it! Churchill and Canadian PM King and his Cabinet Ministers. Source: Wikimedia commons. Public Domain. Someone people trust. If you have not yet established strong relationships with the parties involved, get someone they respect. If you can make them listen to your ideas first and then perhaps endorse them in the meeting, your chances will be better. When someone credible to them accepts the position, most likely they will support it. If you have a mentor ask him or her. Be a mentor to others as well. You are getting champions to support you. Equally important is be in touch with the champion inside of you. When you do, this inner champion is who will talk to people. You will find yourself more persuasive. Find your inner champion. Substance speaks. Do your research. Make sure your your position is supported with valid data and information. Provide evidence. Tell stories people can relate to. Get experts to endorse the idea -- especially the in-house experts that people in the organization respect. Here's a book by Matthew Syed which I recommend you read. This will enhance your persuasiveness when you learn the ideas he brings up here. After reading this, I realize the steps I need to take like learning from my failures, overcoming my fixed mind set and starting a growth one. Your success will even be more astounding. How did you do this in your own life? Share with us in the Comments below.